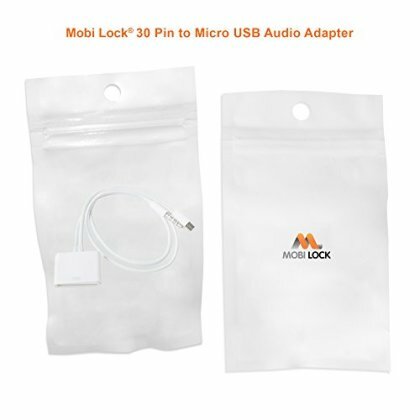 This Audio Adapter Cable allows you to use your old 30 pin docking stations to charge your Micro USB smartphones and play Music via the AUX cable. Made of high durable materials, very easy to use and as simple as plug and play. Guaranteed 100% perfect fit for all your compatible devices. Charge, Sync, and Play music all in one time. Compatible with Android devices manufactured by Samsung, Sony, Blackberry, HTC, LG. Note: Video output and Car Media Systems not supported.